The average time before a lice infestation is discovered is about 4 to 6 weeks. The severity of the signs and symptoms will depend greatly on the size and length of the infestation. A head lice infestation will vary in size depending on the amount of the initial adult louse transfer. Once on a new host, the adult louse will continue the cycle with a new generation of nits. From nit to deceased adult louse, the lifespan is 30-33 days. A fertilized female louse will use the hair as a bridge to transfer from one host to another. She will start laying nits on day one. An infestation gains its mass abundance during the nymph stage of the developmental process. 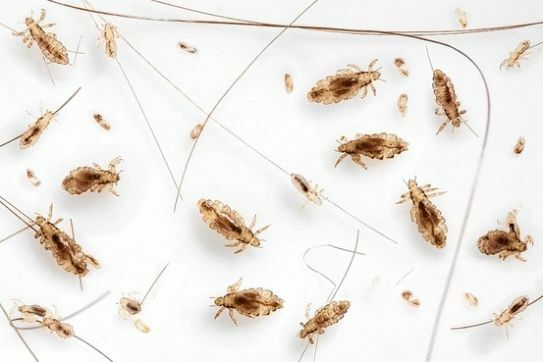 Lice leave behind a scent created from the saliva and urine that is embedded into the hair shaft. This scent actually attracts a new infestation that lasts up to 30 days. The use of repellent products help mask the scent, thus, lowering the chances of receiving another lice infestation.